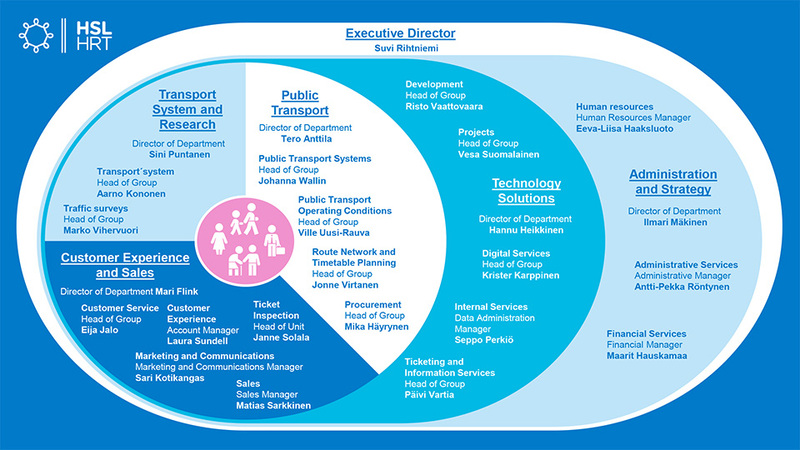 Helsinki Region Transport (HSL) is a joint local authority whose member municipalities are Helsinki, Espoo, Vantaa, Kauniainen, Kerava, Kirkkonummi, Sipoo, Siuntio and Tuusula. HSL began its operations in 2010. Some 370 million journeys are made on HSL's transport services annually. HSL’s annual operating income is over €640 million, of which ticket revenue accounts for about €330 million (about 46% in 2016). HSL has 373 employees.